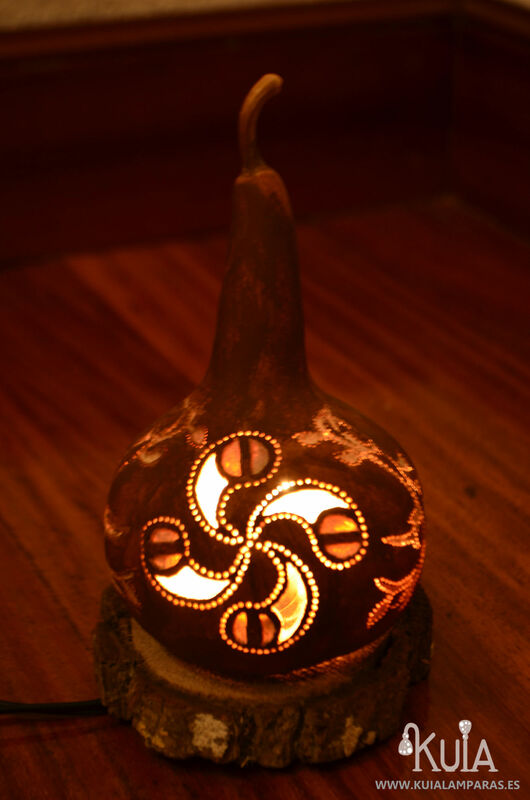 Symbology lamp.A little table lamp made with Gourd. 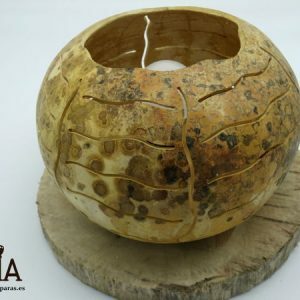 It has a “lauburu” sculpted on it. 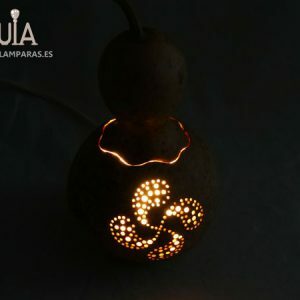 Lauburu is a traditional Basque symbol with four comma-shaped heads. 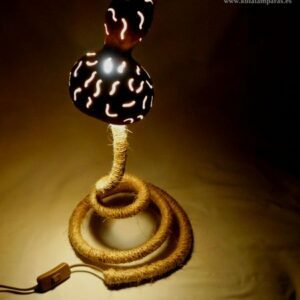 It also has drawings of branches that, when the light is on, projects a very beautiful image. 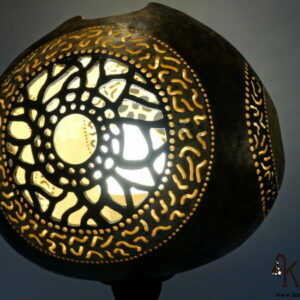 Lamp is painted in a wood-like color creating a charming rustic style. 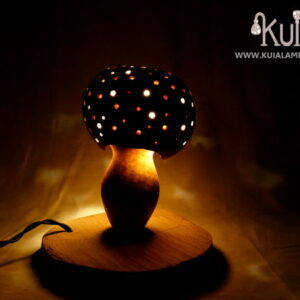 Moreover, the base is made of wood, making the perfect combination with the color of the lamp. 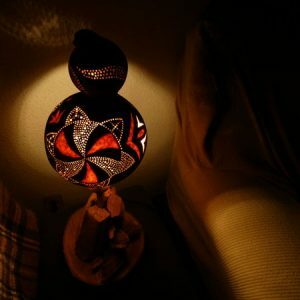 The lamp doesn’t give a high lighting power, so is only a furniture object.